Save 5% on all orders over $200! 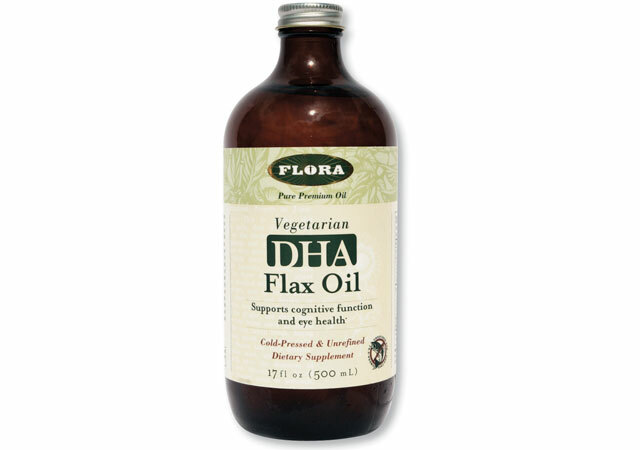 Flora’s DHA Flax Oil is a vegetarian source of unrefined DHA blended with organic Flora Flax Oil to provide you with an excellent vegetarian (algae-derived) source of DHA (Docosahexaenoic Acid). DHA is an omega-3 fatty acid that is essential for the proper functioning of our brain as adults, and for the development of our nervous system and visual abilities during the first six months of life. Flora’s Flax Oil is pressed from certified organic flax seed that has been carefully selected for flavor and maturity. The seeds are pressed in a state-of-the-art low-heat, light and oxygen-free environment and then bottled in environmentally friendly, light resistant amber glass to ensure maximum nutritional value and freshness. DietMinistry offers a 60 day unconditional money back guarantee on all products you purchase.